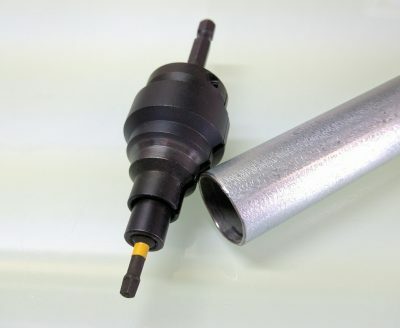 This CNC runs on inexpensive thin walled galvanized steel conduit found in 23.5mm, 25mm, 25.4mm Outside Dimension (OD). Stainless steel tubing (wall thickness approx .049″-.065″) is a good upgrade that increases rigidity and accuracy. 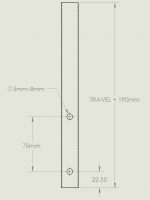 In the US 3/4″ thin walled EMT fits the 23.5mm parts, 3/4″ refers to the Inside Dimension. The price for conduit is about $8 US for the ~20′ needed. Very large builds are possible, if the outer rails are supported along the span. The smaller the machine the more rigid it will be, the faster you can push it. I recommend starting with a foot print of 24″ X 24″ Outer Dimensions with a 3-4″ usable height. Inspired by GeoDave and SteveCD, I gave it a shot. 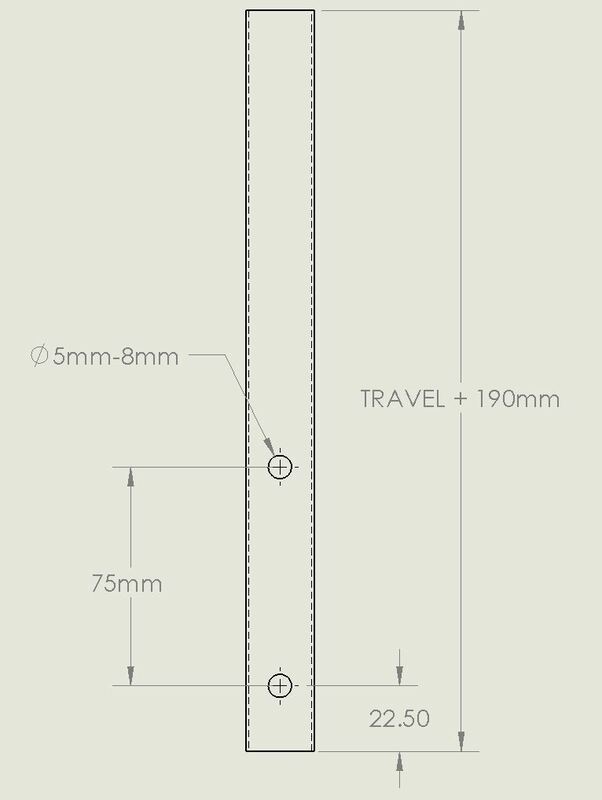 Table will be 6.5mm (.25in) longer in each axis direction. (30in X rail will need a 30.25in table in the X direction).